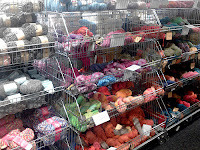 Dinkyflowerpots: A trip to the wool shop! There is a fabulous yarn shop not too far from where I live but, oddly enough, I haven't ever been there. 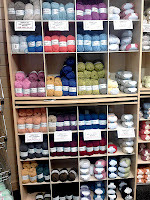 This was remedied last Friday when my colleague Happy Knitter and myself paid a visit to Black Sheep Wools Craft Barn in Culcheth, just north of Warrington. 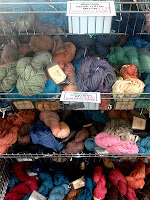 Not only do they cater for the requirements of knitters and crocheters, but there are also supplies for anyone interested in papercrafts, patchwork, sewing, cross stitch, tapestry and embroidery. A lot of their stock is at sale price all year round but they do have a special annual 'clearout sale' which is why we went this week! Having made the decision beforehand to keep my 'sale' spending to a max of £20, it quickly became apparent that this was going to be far more difficult than I'd initially thought - I was like a child in a sweetshop!!!! Happy Knitter wasn't much better, as the following picture shows! (Apologies for quality of phone pics). Evidence of Happy Knitter's excitement....this is her son! There was much 'ooing' and 'aaahing' as we put various yarns in our baskets, only to then take them out and replace them with something else. Below is the first item (well, two) that went in my basket but unfortunately it ended up back on the shelf (although I am now thinking that it may have to be an online purchase!!!) - Noro Kochoran (wool/angora/silk mix) in Blue/Yellow/Pink (originally £14.99 a skein, reduced to £7.98). I absolutely loved this but as I went around the shop it was evident that there was so much more to see. 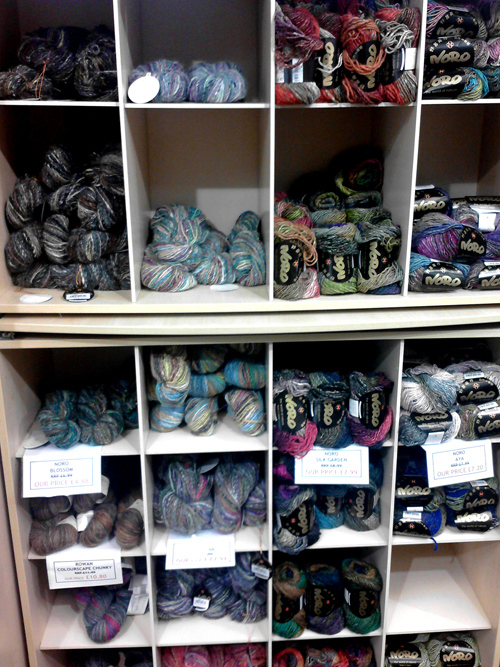 I put several other items back including Noro Silk Garden chunky, some beautiful self-striping sock yarn in chocolate, grey and blue, and, the lovely soft Sirdar Bohemia because I eventually found lots of wonderfully soft and drastically reduced Araucania Nature Cotton, all at £1.99 a skein! I did need to have a good look through (and some folk had certainly already done this!) but found some excellent 'earthy' colours. This is what stayed in the basket and actually made it home! 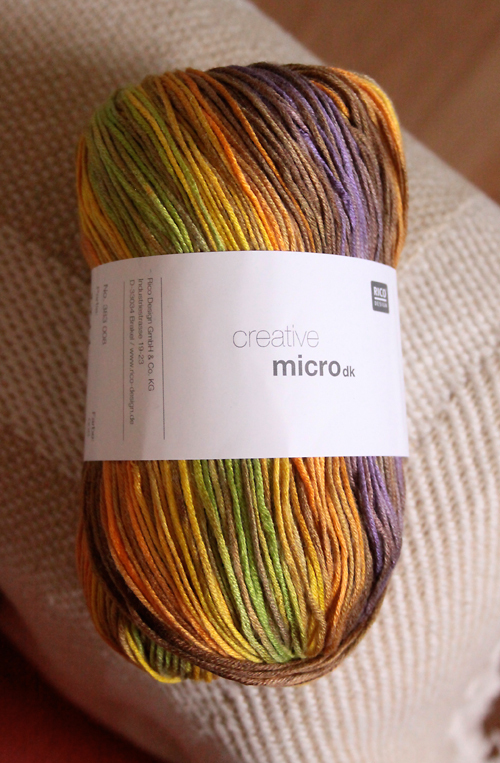 I also couldn't resist the colours of this Rico Creative Micro in Yellow/lime/purple/brown (£3.99). It wasn't in the sale but it came home too! I am fascinated to see how the striping will work out. 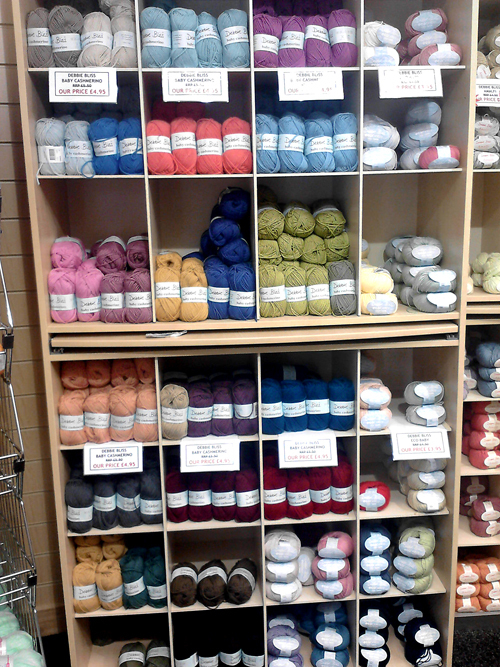 So, all in all a successful afternoon at Black Sheep Wools for Dinkyflowerpots and Happy Knitter. We are already planning another trip and I managed to stay within my £20 too! I'm very, very impressed that you managed to keep to your limit, I would have gone crazy! 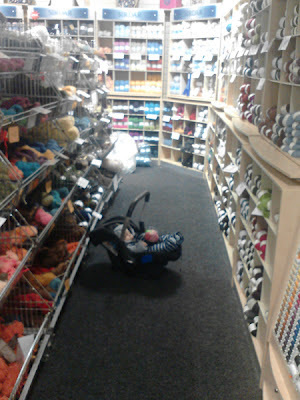 That looks like a dream of a craft store! 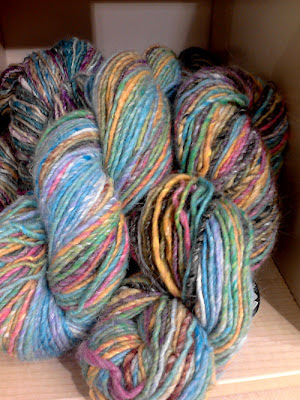 Also, I think that you might have dodged a bullet by not getting Noro, the quality is not worth the price in my opinion. I love, love, love the skein of Rico Creative you bought, lovely colorway! My problem is that I do go crazy if I don't self-impose a limit before I start. I had to put so much stuff back! Glad you like the Rico Creative too. 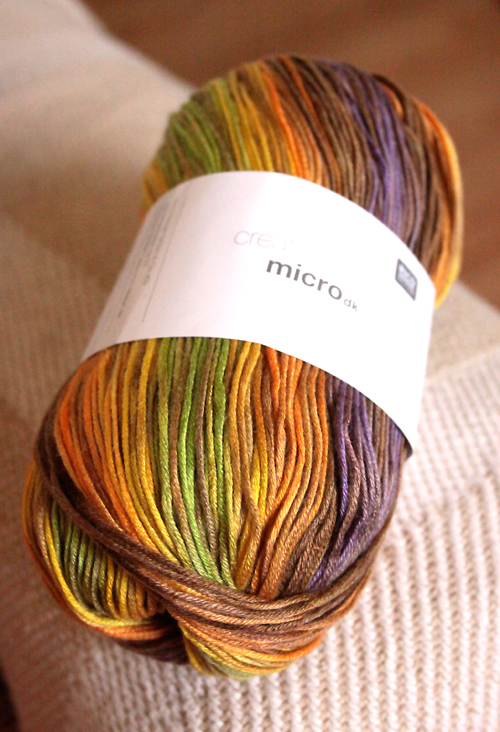 It is so very soft and I am really looking forward to using it.....on something for me! It is a great shop Elizabeth - I am looking forward to going back already but will have to save up a bit first. 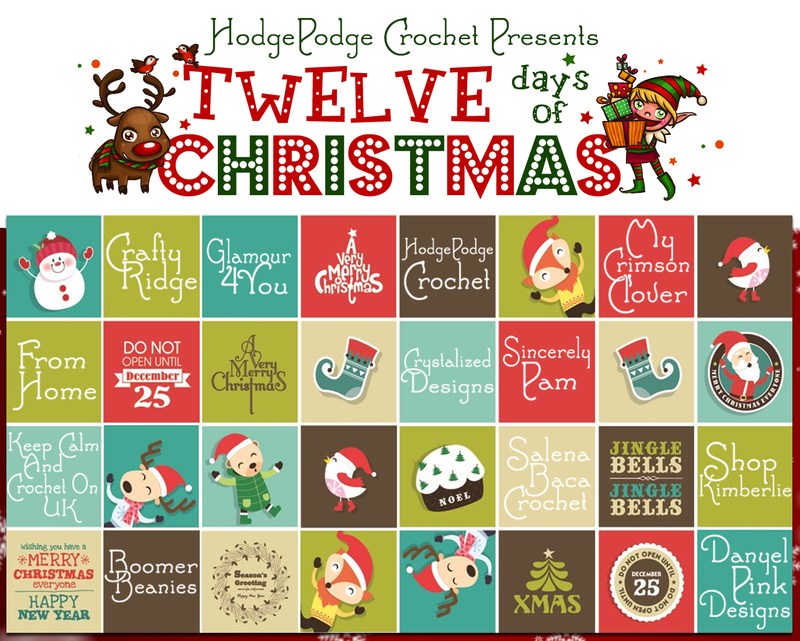 I think the Rico will be a scarf, possibly knitted using one of the textures/stitches from the stitch-a-day calendar. Thank you! Need to go today if I don't want to miss the sale.. Are there always good offers on? 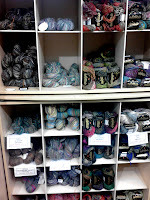 I think that a lot has already gone to good homes but there was certainly plenty of choice and good prices last Friday. 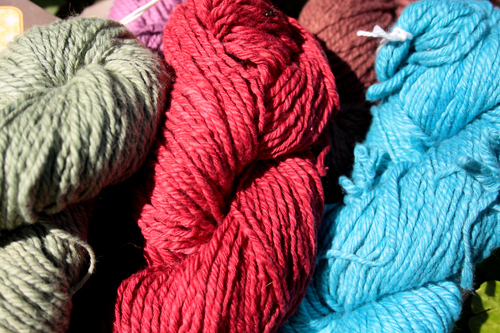 I love Araucania yarns! 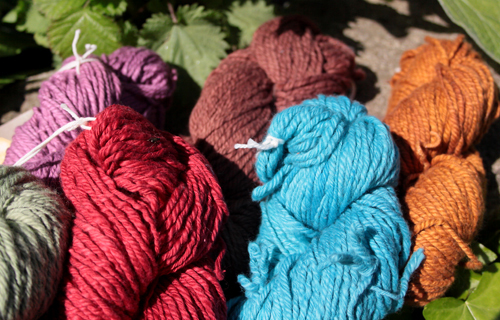 Couldn't resist when Webs had it on sale and bought a whole bunch of Azapa, and Nature Cotton. 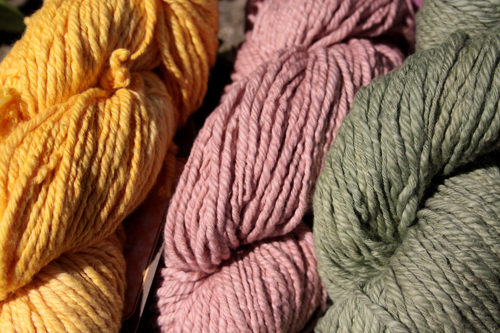 Also like their project books - great sweaters. Not come across the Azapa yet Carol but the Nature Cotton is really lovely, as is the Patagonia. 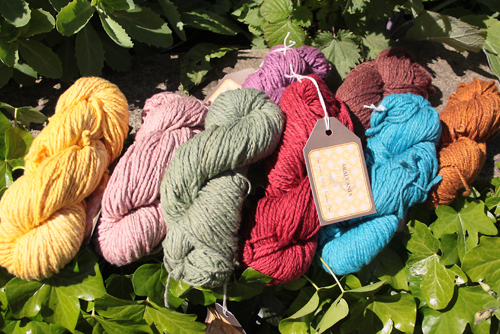 Araucania's own website is really interesting and has some beautiful colours too! Will definitely check out their project books. I think you got quite a deal with that cotton! What will they become?